After a winter that dragged on all the way in through spring, we’re thrilled that it’s finally Memorial Day Weekend—the unofficial start of summer! By now we’re sure your boat is in the water with the shake down sail behind you, so it’s time to look ahead. Summer 2015 will be an eventful one at Hinckley and Hunt Yachts. 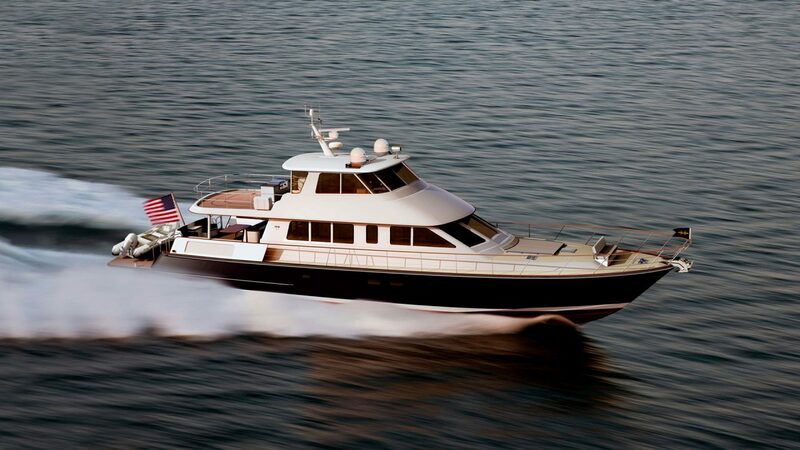 Not only do we have the usual events planned, such as the Hinckley Owner’s Rendezvous on Nantucket in July, but this season will see the launch of several new designs. Already this May we’ve lunched the new Hunt 32 CC, a reimagined center console with ample head room down below, seating for eight in the bow, and unprecedented storage space. Perfect for family and fisherman alike, it’s arguably the most comfortable center console on the market. And did we mention it’s the fastest Hunt ever built? With top speeds reaching 50 knots, we’re proud of this “battle wagon for the weekend warrior.” We urge you to connect with our Hunt sales team to schedule a sea trial and experience the joy of the ride for yourself. While we’re excited to see the interest generated from the 32CC, it’s not even the biggest thing coming out of Hunt this year! Arriving next month is the first Hunt 80. Our largest yacht to date, the Hunt 80 is the queen of our Ocean Series. Designed for the explorers among us, there’s nowhere you can’t go in this custom offshore cruiser. With our individualized finishing touches to the interior, not only will you have the chance to see the watery part of the world, you’ll also be traveling in the height of sophistication. And don’t think we’ve forgotten about the sailing set! 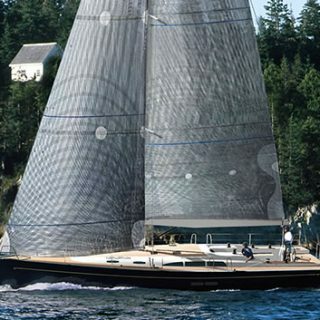 We are eagerly awaiting the launch of the long anticipated Bermuda 50—the first new sailboat design to come out of Hinckley since the Daysailer 42 in 2005. Engineered to perfection, the Bermuda 50 joins the ranks of some of yachting’s most celebrated designs. We’re confident you’ll love the new B50, whether you’re racing offshore or cruising the Maine coast. Built entirely in USA, hull numbers 1 and 2 will be christened this June. Check out our events page if you’re interested in attending a Hinckley function this summer and as always, be sure to follow us on social media to be kept informed of our latest news. Enjoy your long weekend!